In the Day Skipper theory course students are taught the basics of coastal and inshore navigation and pilotage including chartwork, position fixing, plotting a course to steer, weather forecasting, a knowledge of tides and the International Regulations for Prevention of Collision at Sea. The first time you safely navigate to a new destination will give you an immense feeling of satisfaction. 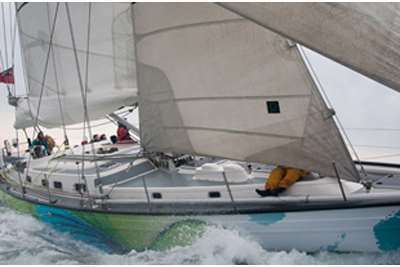 As well as navigation the RYA Day Skipper theory course will give students an understanding of different yacht types and the equipment they carry as well as safety procedures such as distress calls, use of flares, safety harnesses, life jackets and liferafts. Week 0900 until approximately 1700 Monday until Friday . All course materials including RYA Day Skipper theory course notes. Morning and afternoon tea. For details of local accommodation establishments please click here. RYA Day Skipper Practical (sail) or RYA Day Skipper Practical (motor) or RYA Intermediate Practical (powerboat).